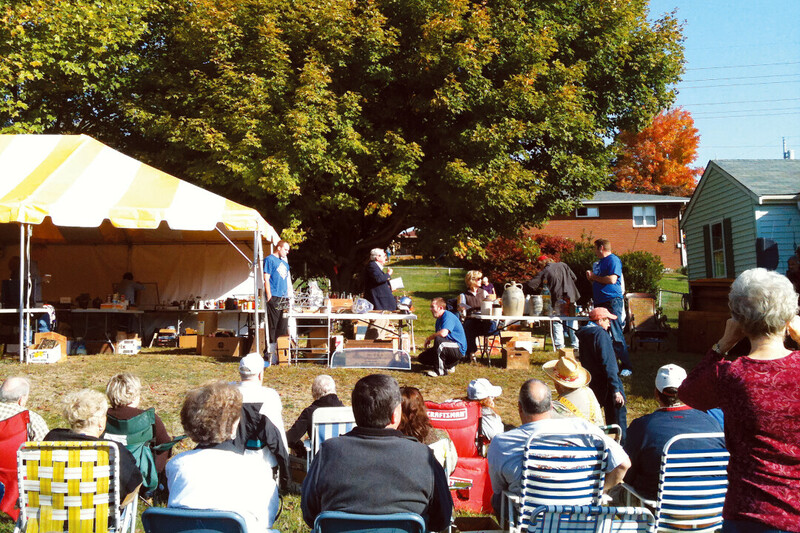 Estate sales and auctions are a bit of an enigma for those outside of the usual circuit. For those who are first-time buyers or first-time sellers at an auction or estate sale, the experience can be stressful. But old pros know estate sales and auctions are treasure troves for unique finds. Estate sales are typically held in the seller’s home. Potential buyers have the chance to walk around the house to view the for-sale items, which are marked with prices and distinguished against the items that are not for sale. Estate sales are typically used when a family needs to liquidate their belongings or the possessions of a relative that has passed away. Estate sales are also used when a family is downsizing, going through a divorce, moving, or going bankrupt. There is usually just one offer per item at estate sales. Auctions, on the other hand, involve multiple people bidding for the same items. The auctioneer will rattle off prices and highest bidder wins. It’s a fast-paced and exciting process; auction and estate sales have been used for centuries and around the world. You never know what you might find at an estate sale or auction. The items for sale can range from art collections and antique glassware to sports cars or livestock in some cases. Estate sales are often listed in newspapers. There’s potential for a little leeway in pricing, so have a range of prices in mind when you spot the perfect item. If you find an item you want, but it’s too big to carry around, mark it with a sold sticker. Bring cash to sales – you never know if the sellers will accept cards or checks. For auctions, attendees should come prepared to make bids quickly, or to change their game plan altogether. Some auctions have a preview day where buyers can preview the items that will be on the auction block. Quick reflexes and a flexible mind are a must-have for the auction circuit. The auctioneer’s call is final, no take-backsies. A few things to keep in mind: For estate sales there could be emotional attachment to an item from those selling it, so please be respectful. Remember that selling the belongings of a loved one who has passed is a painful process, and don’t make it harder for them. For estate sales and auctions, the golden rule applies: treat others, and their belongings, the way you want yourself and your property to be treated.